80% Asus ZenBook Pro 14 review: A trackpad that's a touchscreen, how does that work? The second-screen trackpad may be what earns the Asus ZenBook Pro 14 attention. But the real appeal is elsewhere. This is a laptop that’s fairly portable and looks high-end, and can still play The Witcher 3 just as well as a PS4 can. It's relatively good value too, considering all that's on offer. 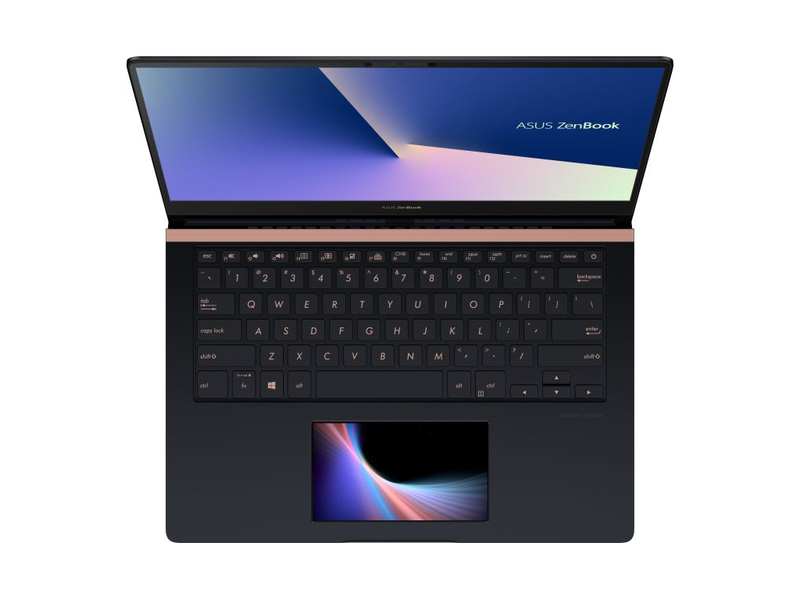 The Asus ZenBook Pro 14 sits rather snugly in the middle of the budget laptops and the high-end laptops – you get some very good specs, a really rather tasteful design, and a quirky touchpad feature for your money. It's not perfect but it gets a lot of things right. Positive: Elegant design; great built quality; long battery life; good hardware. Negative: Overheats while using; no Thunderbolt 3 port. NVIDIA GeForce GTX 1050 Max-Q: Stromsparvariante der GeForce GTX 1050 mit etwas geringerer Leistung und deutlich reduziertem Stromverbrauch. Diese Grafikkarten sollten alle modernen Spiele flüssig darstellen können. Anspruchsvolle Spiele müssen jedoch in mittlerer Detailstufe gespielt werden. Ältere und weniger anspruchsvolle Spiele wie die Sims Serie können auch in hohen Detailsstufen flüssig dargestellt werden. » Weitere Informationen gibt es in unserem Notebook-Grafikkartenvergleich und der Benchmarkliste. 8565U: Auf der Whiskey Lake / Kaby-Lake-Architektur basierender ULV-SoC (System-on-a-Chip) für schlanke Notebooks und Ultrabooks. Integriert unter anderem vier CPU-Kerne mit 1,8 - 4,6 GHz und HyperThreading sowie eine Grafikeinheit und wird in 14-Nanometer-Technik (14nm++ versus 14nm+ bei Kaby-Lake-R) gefertigt.» Weitere Infos gibt es in unserem Prozessorvergleich Vergleich mobiler Prozessoren und der Prozessoren Benchmarkliste .